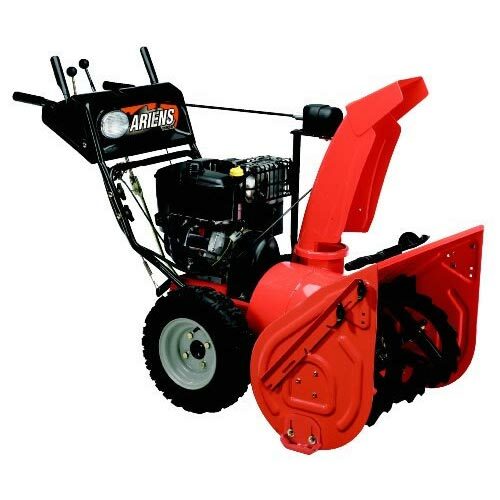 Tractor snow blowers are industrial machines that attach to the front or rear of a farm tractor. The tractor is driven over snow-covered areas that need to be cleared, allowing the snow blower to do its work. Far different from the economy models familiar to most families who only use a snow blower a few times each winter, these are high-powered units which are purchased by people who have a lot of ground to cover. 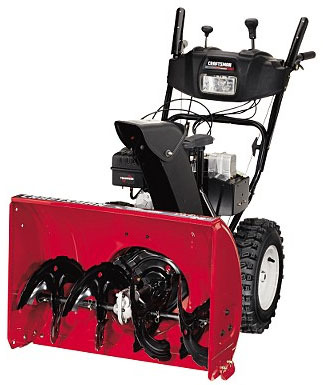 Tractor snow blowers come in two main variants - those which are "front-mounted," and those which are "rear-mounted." The most important distinction from an operator's standpoint is that a front-mounted snow blower is pushed by driving your tractor forward through the snow, while a rear-mounted unit is pushed by driving in reverse. But let's take a closer look at the differences between the two setups. Having the snow blower mounted on the front of your tractor is definitely easier when it comes to driving. You can steer naturally and sit comfortably facing forward in your seat. But front-mounted units are more complicated to mount, and they usually run on an equally complicated hydraulic system. Meanwhile, a rear-mounted unit gives you the reverse scenario. 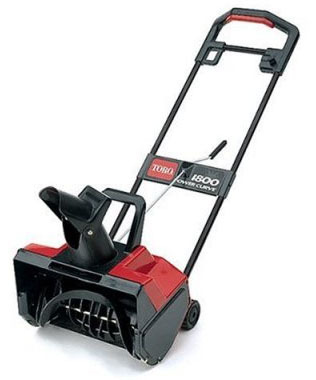 This style of tractor snow blower is less mechanically complex, which often means fewer problems. But since you will be driving in reverse, you may need to take occasional breaks, because continually twisting around to see behind you can be a strain on the back. In addition, your tractor may or may not cope well with driving in reverse a lot. Some companies are now manufacturing a third type of setup, in which the snow blower is mounted in the rear but the tractor is still driven forward. While this is more convenient than a front-mounted model and easier to drive than a rear-mounted one, it carries with it one major drawback. Because the tractor is driving forward and the snow blower is being pulled behind it, you are driving through the fresh snow and are much more likely to get stuck than you would be with a typical front-mounted or rear-mounted unit. Regardless of which setup is employed, tractor snow blowers get the job done fast. These aren't your garden variety walk-behind models; they are a powerful industrial solution for clearing large amounts of heavy snow in the blink of an eye. Only splicing a snow blower together with a tractor could produce this kind of performance!